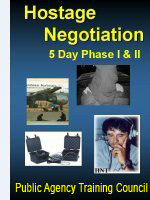 Introduction to Crisis/Hostage Negotiation: Understand the premise of crisis negotiation. Recognize elements of successful crisis negotiation .Apply common crisis negotiation terms. Team Structure: The structuring of a crisis negotiation team and the importance of command personnel, as well as command personnel’s understanding and support will be discussed. (This structure works for small and large agencies alike) Determine organizational requirements for an effective crisis response. Coordinate personnel, resources and equipment for crisis negotiation. Identify training requirements associated with crisis negotiation. Basics of Negotiating: The function and duties of each team member, including command personnel, will be explained and discussed. Negotiation strategies will also be discussed. Negotiation Operation Command (NOC) and Tactical Operation Command (TOC) - what are they and how do they function with each other during a SWAT incident. Apply safety and security measures to contain a crisis. Establish command and control during a crisis incident. Mitigate a crisis incident.. Establish operational objectives during a crisis. Evaluate and manage risk during a crisis incident. Plan a risk-effective negotiation strategy. Intelligence: Develop a system for managing intelligence. Recognize the value of intelligence in mitigating a crisis. Differentiate categories of crisis intelligence. Apply intelligence to resolving a crisis incident. Maintain effective incident information charts and dialogue records. Social media is huge. In today’s world the negotiator has to be aware of how social media works and how it can help and hinder negotiations. Communication Skills: The student will be given an in-depth overview of communication skills, both conversational speaking and active listening will be discussed. 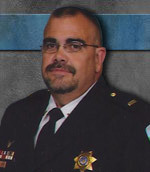 Recognize the value of effective communication in crisis negotiation. Apply the principles of the behavioral influence steps. Recognize barriers to effective communication. Apply basic communication skills to crisis negotiation. Psychology in Negotiations: In this segment, students will discuss in layman’s terms the mental and personality disorders that are prevalent during crisis situations. Identifying the mental or personality disorder and dealing with it in a crisis situation. Students will learn the three most common types of suspects that are involved in hostage/barricade incidents. Recognize characteristics of mentally ill or emotionally disturbed subject Apply techniques for communicating with mentally ill or emotionally disturbed individuals. Case Studies: Each and every hostage and crisis situation is different. The cases we will review are a diverse sampling of the instructor’s experiences and other incidents from across the nation. Suicide Intervention: Can you talk a person into committing suicide? The truth and the myths about suicide will be discussed. Recognize suicide trends within the United States. Identify terminology associated with suicide. Identify risk factors associated with suicide. Identify risk indicators associated with the immediacy of suicidal intent. . Apply effective intervention techniques for the actively suicidal person. Role Play: Students will get a chance to participate as a team member and use the most advanced electronic equipment that is on the market today. Apply basic communication skills to crisis negotiation. Recognize and apply factors that contribute to successful crisis negotiation. Document crisis negotiation team activities. Apply intelligence to resolving a crisis incident. Recognize circumstances conducive to successful crisis negotiation. Recognize and apply strategies that contribute to successful crisis negotiation. Recognize and understand risk/benefit regarding the use of third party intermediaries.